Hi, I'm Chantal. I was born in Canada but am an American citizen now. I have 3 sisters, 4 stepsiblings, 4 parents, 1 dog named Dexter, 1 cat named Winston, and 1 husband named Brandon. I have a BA in History with a minor in Philosophy. I was going to be an officer in the Army but got injured, so now I'm concentrating on my writing. I met my husband while we were both in ROTC. He commissioned in May 2008, we got married June 1, 2008, and we were off! After a few months at Ft Benning, GA, we got stationed at Schofield Barracks, Hawaii. I love to read, write, play at the beach, go on hikes, ride my bike, spoil my puppy and spend whatever time I have with my husband. He's deploying later this year - that will be an adventure! 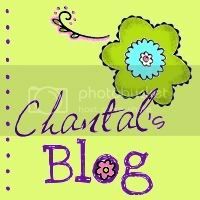 So hey, if you want to join the Blog Hop, check out Riding the Roller Coaster and follow the directions! So you know that whole light at the end of the tunnel thing? Well I think we're nearing the tunnel. The light isn't even in our sights yet. But I can see that tunnel and it's coming fast! Brandon has been home from NTC for what, 4 weeks now? Why does time fly so fast when he's home? I feel like the days are wasting away and we're hardly getting anything done. His parents are coming to visit in exactly 4 weeks and that means that will be his block leave and THAT means... Deployment. I don't think I realize it yet. Sometimes I look at the calendar and think, crap, that's pretty close. Sometimes I just go about my day like normal. What else can you do, right? I know this deployment is coming but I'm sort of in the denial stages. I think it's because we've never been through this before. I'm not having too much anxiety because I don't know what will happen. I do feel sad, I do feel grumpy and angry, but I push those feelings away most of the time because I can't waste my time with them. I have been feeling anxious about having this job! I just started work yesterday, doing training. But it worries me that other coworkers whose husbands are leaving with mine might take time off to be with them and I'll be left to pick up the pieces. I don't want to be working those last few days when Brandon is leaving. That scares me. Some business: When the deployment starts, I'll be switching over to a new blog. This one will still be around but I won't be using it for a year. My new blog is called A Blog a Day While You're Away. I'll basically be writing a blog every day while Brandon is gone. So please click on the link below, sign up as a follower, tell your friends, and be ready for some blogging action when I start it. 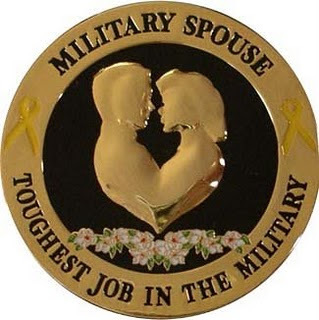 I have received a blog award, courtesy of my friend and fellow blogger Marissa at Living the Life of an Infantryman's Wife. Thanks so much Marissa!! 1. To put the logo on your blog or within your post. So I follow tons of blogs of people who definitely don't know me, but I'm going to pass the award to them, because really, who doesn't want some Sunshine? I told Brandon I wanted a garden. He thought I wanted to do vegetables and herbs. Well, yes, but really I just wanted some pretty flowers. I wanted something bright and cheerful to look at! So yesterday we finally made it to the NEX Garden Shop. We decided to just buy some pots for the flowers. We got 3 pots, 3 flowers and a Colorama (what category is that in? Haha). I already had one pot at home. We got Zinnias and Marigolds, and some other tropical flower that I can't remember the name of... Anyway, I'm loving it! All weekend we worked on our patio doing some landscaping. We moved rocks, got some more patio stones and extend our patio a bit, tried to fill the holes Dexter dug, and moved the dishes a little. I think it looks nice, what about you? I love it! So the next plan we have is buying a trellis and putting it somewhere in the backyard and then planting flowers that will grow up it. It'll look so pretty. We also plan on doing an herb garden but we need to decide if we just want to have those in pots too or have them dug in the ground. I'm excited! I feel like I should blog. I had a great idea a couple of days ago but when it came down to it, my mind went blank. I just want to give you a little update and news, I suppose! Brandon has another 4 day weekend, which is both nice and scary. I worry we won't have enough stuff to do and we'll get bored! So far, so good. Yesterday we went to Mokuleia Beach on the North Shore to play in the sand and let Dexter run out some energy. It was definitely too cold and windy and wavy for swimming. Then Brandon brought me out to dinner in Haleiwa at a pizza place that serves hamburgers ;). The burgers were so great! Horribly juicy, I made a mess, but it was great. Today we're going on a bike ride around post. I like going on bike rides with him, it's a good bonding experience. I get a good workout too because he's faster than me. I don't know what else we're doing today... I'm doing some laundry though! Might mow the lawn. No clue, actually. Tomorrow we might have some friends over for a BBQ and a game night. That will be fun! Everything else is going well. I hate editing my book, btw. It's just such a boring process! Not as much fun as writing or even reading it. Now, I have to think about it. So I'm crawling through this process. I think maybe this weekend we will start work on the garden I want. I have no clue where to start with all that but I think I'm just going to jump right in. I'm sort of excited! So... what will you do with a history degree anyway? Join the Army, of course! "So you got a degree in History, huh? What are you gonna do with that?" "Hm... *chuckle nervously, look around* Well, I was going to be in the Army, but then I got injured, so instead I stay at home and write." "Oh, write, huh?" Usually followed by skeptical looks. "Yep, I want to be a writer. I just finished a novel a couple months ago, actually, and I'm in the process of editing it." Anyway, yes, that's how it goes nowadays. Awhile back when I told people what I majored in they would automatically assume I would be a teacher. Because really, what else can you do with a History degree? A lot of things, actually. Most things deal with clerical work, but there's some cool jobs like museum curator, consultant, writer of fantastic things, and the list goes on. I scoffed at the idea of becoming a teacher (hm, much like I scoffed at the idea of becoming a professional writer). Now that I've started this Substitute Teacher's Course I'm sorta, kinda, really loving it. I know, I haven't even stepped foot in a classroom yet... but still! I love all the ideas I'm getting for teaching my very own high school history class. I keep coming up with projects, activities, lessons, etc., and it's making me excited. So let's see what happens, right? Let's see me doing some subbing first and then maybe consider a career in teaching in the future. I obviously wouldn't do it here (ok, maybe not obvious to you, but I won't go into it), but maybe when we get back to Colorado I can look into it. I wouldn't want to do it while our kids are real young... I'm planning for the future again! So about a month ago I got an opportunity to read and review a new book. I waited anxiously for it to arrive in my mailbox (what can I say? I don't have a job!). Needless to say, I was super excited when it arrived in my mailbox at the end of March. I opened it up and began reading that day. The book is called The Marriage Project, 21 Days to More Love and Laughter. It was written by Kathi Lipp. Check out her website HERE. While my marriage doesn't really need any help, I was pretty excited to read this book to see what fun activities it would suggest. The basic premise of it is every day for 21 days you and your spouse do the project for the day. Easy, right? Let's talk aesthetics first (thanks Amazon for the picture of the book I lifted unceremoniously from you!). I am, sadly, one who judges a book by its cover. I like a book that looks pretty, something that sticks out on the shelf, and when you open the pages it looks easy to read. This book had all of that, thank goodness. And I was pleased that it wasn't super long! Now, the content. The first third of the book is in preparation for the marriage project. It outlines what to expect, why you're doing this, and everything in between. While I found this part a little too long, it was also helpful. Throughout the whole book she injects personal stories of either her marriage or others and ties them into the whole Project. The rest of the book deals with the Projects. There are 21 projects, 3 major projects and 3 bonus projects. Basically each day there is a project to do and every week there's a major project, which is a date with your spouse. The projects are so easy to do I couldn't believe it. For example, Project #6: Get Active Together, turn off the TV and connect through exercise; Project #11: RESPECT, write down the reasons you respect your husband; and Project #19: Text or Email Sweet Nothings. These are all things we can do every day with our spouses but we can never "find the time" to do them. I only have one complaint, and this is just me... it is a Christian-centered book so the entire thing is filled with Bible passages and prayers and talk about God. This does not mean that if you're not Christian (just like me), you can't read it. You definitely can! I knew when I was getting the book that it was being published under Christian non-fiction so I wasn't surprised. Anyway, I guess it isn't much of a complaint, just something I wanted to get out there! In the end, this book was really well written and I was excited as I was reading through it. I'm hoping in the next couple of weeks to jump right into the Marriage Project and see how it works for us. I recommend it! 1. I got a job! It's part-time, on-call, so I'm expecting not to work much, which is what I want, haha. It's at the ticket office on post. I'm kind of excited, though I think Brandon is a bit more excited. He wasn't as accepting of my job as a stay-at-home-wife/writer. 2. I started my Substitute Teacher's Course earlier this week. It's pretty cool so far! I'm more excited about being a substitute than the other job so if I started getting a bunch of sub jobs I'll quit the first job. And anyway, I make more money as a substitute. Like $150 a day. Wee. 3. Our living room is getting a makeover! I admit, I was excited about it until it changed then I got some anxiety about the whole thing. I just have trouble with change. So Brandon bought a surround sound system for the living room, which is great. Then we decided to move Goliath, our big rear-projection 65" TV, and replace him with David, our smaller 40" flat screen from upstairs. We were just getting tired of Goliath taking up so much space in the living room. That's the biggest change that I'm still having problems with, just because it's a very noticeable change. Oh, and we're going to be getting a new couch, hopefully. These ones are seeing the end of their days and I'd really love something of our own, you know? After the couch we'll be pretty much set on furniture! 4. Dexter has been a sick puppy the last 3 weeks. First neutering, then diagnosed with mange, then a UTI, followed by a broken foot, and lately he's been puking and having diarrhea. Poor puppy. I hope he gets better! Yesterday was my birthday! It was a good day, not too many complaints. It started out real early thanks to Dexter not wanting us to sleep past 6am. So we got up and went downstairs. Brandon was trying to figure out something for the internet so he spent a couple hours walking around the house on his project. I watched TV, read, played on the internet, just relaxed. We had a Sunday brunch to go to at my friend's house. So we dressed all nice and headed down to her house, followed by a couple of other friends who didn't know how to get there. All my friends were there! I had tons of fun. The food was great and we just stood around and talked. Very good time. Afterwards we wanted to go to Target to buy my birthday present (since Brandon was gone until April 3rd it was kind of hard to buy a present for me). I wanted a new hairdryer and bath robe, nothing too fancy! But Target was closed! Darn Easter. I just didn't expect that considering Hawaii is such a touristy place, you know? Anyway, I was sort of upset about that. Oh well, we'll have to buy my stuff later. So then we went home and watched some more TV. Brandon made reservations at PF Chang's for dinner. We headed down to Waikiki around dinnertime and spent some time walking around the stores before going to dinner. The food was great! We each got a cocktail, then some lettuce wraps, some soup, and then some spicy chicken and beef a la sichuan. Dessert was the mini-desserts. It was a great meal and it was so wonderful to be there with Brandon. We just had tons of fun! After dinner Brandon wanted to go to the Apple Store to check out the iPod Touch and the iPad, which he has fallen in love with. The store was insane busy but we managed to get in to play with a few things. After we played for a bit we decided to head home. We were originally going to go sit at the Hale Koa bar but the combination of pouring rain and being full and tired it was time to go home. We aren't party animals anymore! Haha. Plus Brandon is still catching up on some sleep. When we got home he basically passed out on the couch so I made him go upstairs to bed. I read a bit but then I fell asleep too. It was a good day! It's only been just over 6 weeks since Brandon left, but he came home today not-so-bright but very early this morning. I could hardly sleep, I must have been anxious, and when he texted me at 3am to tell me he was back on Schofield I got up. I didn't actually pick him up until about 3:45 and then we had to go get his bags. We got home after 4am and we were both awake, so we watched some DVR'd TV and he had some coffee. Just before 6am Brandon was hit by exhaustion (he hadn't slept at all!) and we went to take a few hour nap. Now we have unpacked his stuff, showered, made breakfast and we're relaxing on the back patio now. It's nice to have him home! I've slowly been writing and editing. It's getting there!